Have you been repeating the same routine every time you go to the gym? Chances are your body is as bored as you are. It knows your old routine by heart therefore making your efforts far less effective. CrossFit keeps your body guessing by introducing different movements each class. Every Workout Of the Day (WOD) will be completely unique to the one before it. It’s very hard to “plateau” when your body has no idea what’s next. Ever picked up something off of the floor? You’ve already performed a deadlift. Maybe placed that something overhead on a high shelf? Congrats! You’ve also performed a strict press. When we say functional movements, we mean movements you perform almost every day. 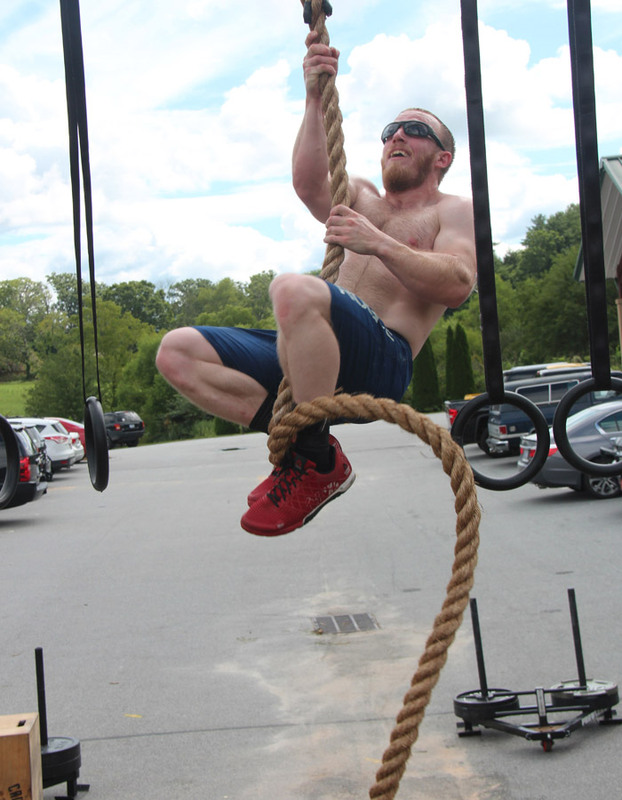 Our goal at Blue Ridge CrossFit is to help you perform them safely, quickly, and efficiently. By performing these movements at a high intensity (relative to the individual), you are not only increasing your strength and stamina, but you’re also reaping the benefits of an intense cardio workout. You will achieve more in 5 minutes than you would spending 60 minutes or more on a treadmill!!! When we said each workout is different, it’s not only the movements that change – the length of time varies as well. One day you might do 4 rounds of kettlebell swings, box jumps, and sit-ups. The next day you might be doing as many rounds of pull-ups, pushups, and squats as you can perform in 20 minutes. We’re training you to be a machine whether the workout is 5 minutes long or 60 minutes long. Our programming will teach you to pace yourself so you can stay in constant movement and get the most out of each workout. Skill drills and explanation of strength and conditioning workouts that day. Post-workout recovery techniques to prepare you for the rest of your day and for your next workout.